Ghana Is The Host Country For The 5th All Africa Music Awards. Ghana has been unveiled as the host country for the 5th edition of the All Africa Music Awards. The event will take place on November 21-24. Speaking at the official launch at Kempinski hotel, on Tuesday, September 18, president of AFRIMA, Mr Mike Dada said the purpose of AFRIMA is to serve as a communication tool. “We use the power of superstars to communicate the beauty, glamour, positive side of Africa continent to the rest of the world”, he said. He continued that AFRIMA not only provides opportunities to the nominees but the host country as well. “The AFRIMA program of events provides the opportunity for Ghana to showcase the unique artistic, tourism and economic potentials of her culturally dynamic and beautiful cities. 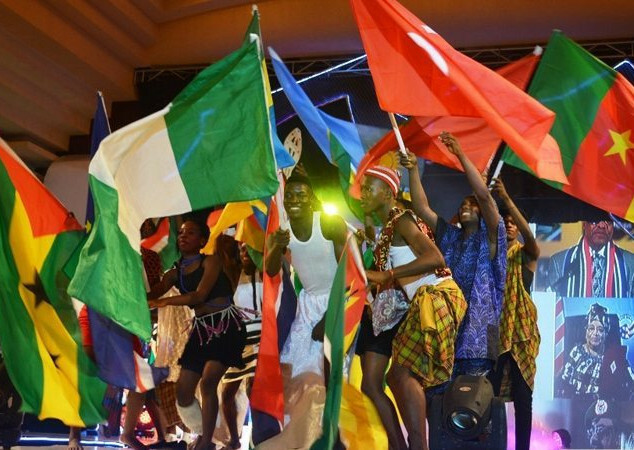 The program goes further to offer benefits that would help in raising the continental and international profile of the Host Country, including an opportunity to tap into the millions of participants and followers of the growing African music”, he added. Ghana’s Minister of Tourism, Arts and Culture, Hon. Catherine Afeku said Ghana is ready to take Africa by storm with a new narrative, and that is music. “We are ready to take Africa by storm. The narrative of Africa must change, and changed through music. We can use music as a conduit for peace; we can use music to send a strong signal to the rest of the world… that our young people are talented, intelligent and the hope for the next generation”. She further entreated the media, and the people of Ghana to be an advocate for Africa through music. “Let us in November carry the message of the Ghana Beyond Aid message through music. I entreat each and every one of you to be an advocate of Africa… This is going to be the Independence of music”. Present at the launch was the deputy minister of Toursim, Dr Ziblim Barri Iddi, Samini, King Promise, Stonebwoy, M.anifest, Feli Nuna, Jupitar, Kuami Eugene, Steve Bedi and many other dignitaries from all other countries. The African Union Commission, AUC announced the Republic of Ghana as the Official Host Country for the 5th All Africa Music Awards, AFRIMA, following receipt of the Letter of Intent to Host AFRIMA dated April 18, 2018, addressed to the Commissioner of Social Affairs, African Union Commission, Mrs. Amira Elfadil and signed by the Honourable Minister of Tourism, Arts and Culture, Ghana, Honourable Catherine Afeku. The 5th AFRIMA Host Country unveiling was conducted at the African Union Headquarters in Addis Ababa, Ethiopia on Thursday, September 6, 2018 by the African Union’s Acting Director for Social Affairs, Mariama Cisse Mohamed; Head of Culture, African Union, Ms. Angela Martins, and President and Executive Producer of AFRIMA, Mr.Mike Dada. In her response letter dated September 13, 2018 with reference number DSA/CUL/16/341818 awarding Host Country right for the 5th edition of the annual continental awards event to the Republic of Ghana, Mrs. Amira Elfadil congratulated the West African country on overcoming the competition involved in hosting AFRIMA and winning the Host Country rights through a transparent process. Eliud Kipchoge Sets Fastest Ever Marathon Time In Berlin?